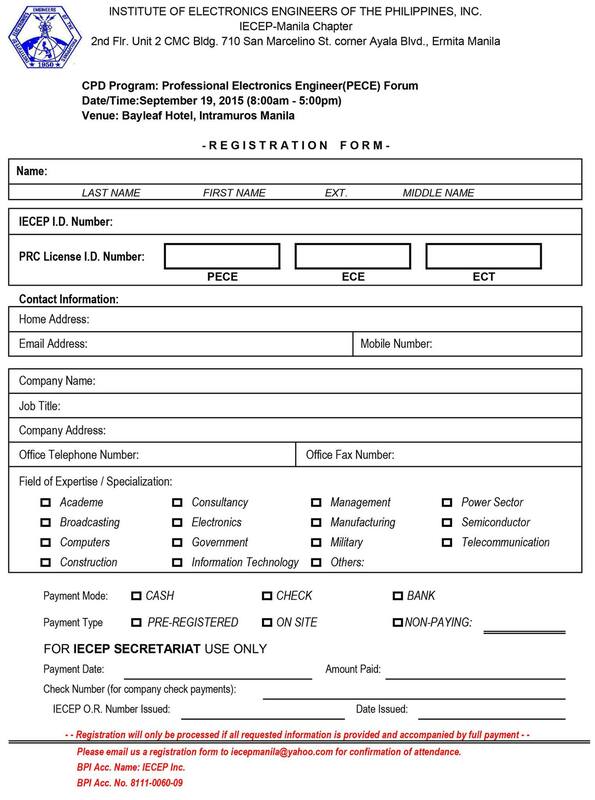 Posted on August 24, 2015 by Eduardo Marin, D.Min. 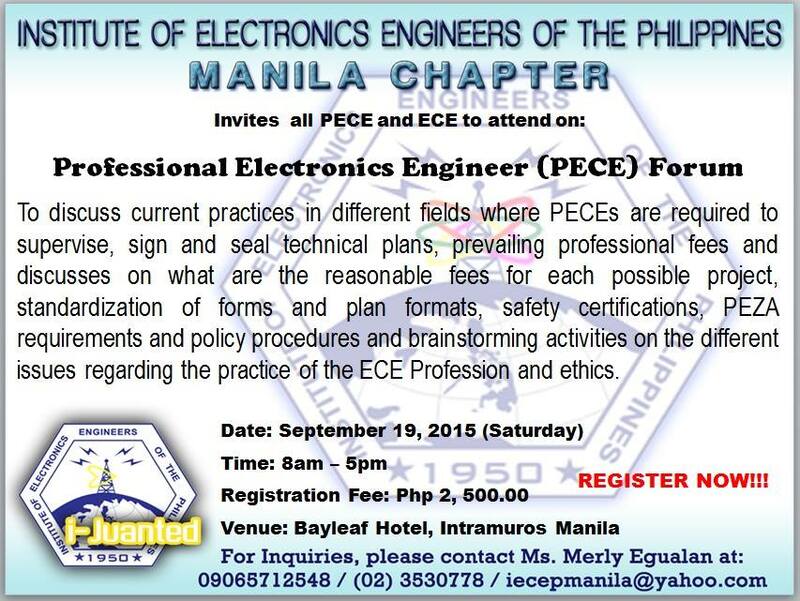 IECEP Manila is inviting electronics practitioners (PECEs and ECEs) to attend. . .